When you need air conditioner (AC) repair or furnace repair in the Aurora, Ontario area, call the HVAC company that has been trusted for years. 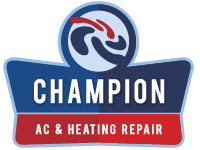 Champion AC & Heating Repair has built a solid reputation and developed a loyal customer base for the repair and replacement of these systems. We want to add your name to our list of satisfied customers. No matter how large or small the job, our commitment is to do a job that exceeds your expectations. We do more than just make promises. We make guarantees. We want you to think of us whenever you need heating or cooling advice, now or in the future, so we guarantee a straightforward, uncomplicated experience with our technicians. We guarantee the best available professionals in the field will be ringing your doorbell. We guarantee that you are getting the most expert advice and service when you entrust your AC repair or furnace repair in Aurora, ON to us. We guarantee your satisfaction or we will make it right. Every. Single. Time. Trusting your home and comfort to us is a big responsibility. We take that responsibility seriously. What will you get when you call us ? A quick diagnosis. A hassle-free solution. A trusted partner. From a simple thermostat replacement to a full air conditioning installation, we want you to be a customer for life. Your trusted business is our priority. Should you require furnace repair, furnace installation, AC repair, Air conditioner installation, or annual maintenance programs, Champion AC & Heating Repair wants to be your go-to resource in the Aurora, ON and surrounding areas. Our technicians are committed to exceptional service and want to offer peace of mind with every visit. That’s why we offer the same level of service that we would provide to our own family members. We commit to tough standards when hiring our technicians so you don’t have to worry. Are you smelling suspicious or burning odors ? Are you hearing strange noises coming from your unit ? Is your temperature not being regulated properly ? Are you seeing telltale signs of leakage ? We like to say that your best defense is an offense. Call us. We are equipped with the latest diagnostic technology to locate your problem and get your system back to working effectively and efficiently. Don’t let it go until you have a major problem — or a costly one — on your hands. Here at Champion AC & Heating Repair, we understand that safety and security are important whenever you invite someone into your home. We pride ourselves on only hiring the most reliable, responsible and trustworthy service personnel. You can rely on us to offer the most objective, up-to-date information concerning your heating and cooling systems.. Whether we are troubleshooting a problem for a simple repair or we are discussing a new installation, you can also rely on us to offer the most cost-effective alternatives and analyze the pros and cons for each. We pride ourselves on our highly-trained staff to offer information on the latest, most efficient products in the marketplace. We will always consider your needs and budget. If a repair is a good fix, we will never try to upsell or misrepresent the issue. We would want that level of transparency for our own family members. We want that for you. Whenever the need arises for AC repair or furnace repair in the Aurora area, we want you to think of Champion AC & Heating Repair. Our goal is to be your trusted partner in your family’s comfort. Now and for the future.